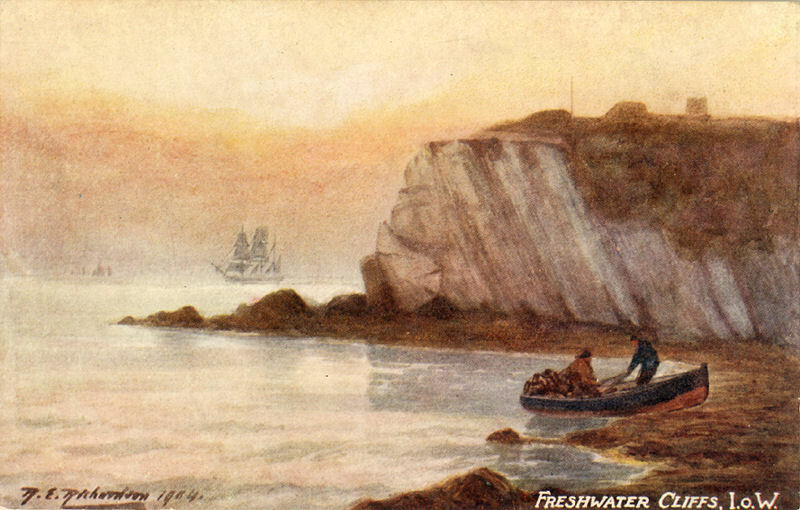 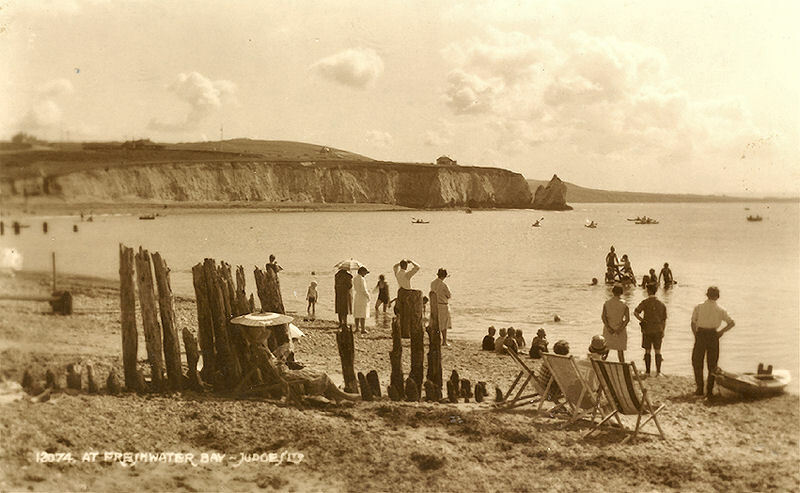 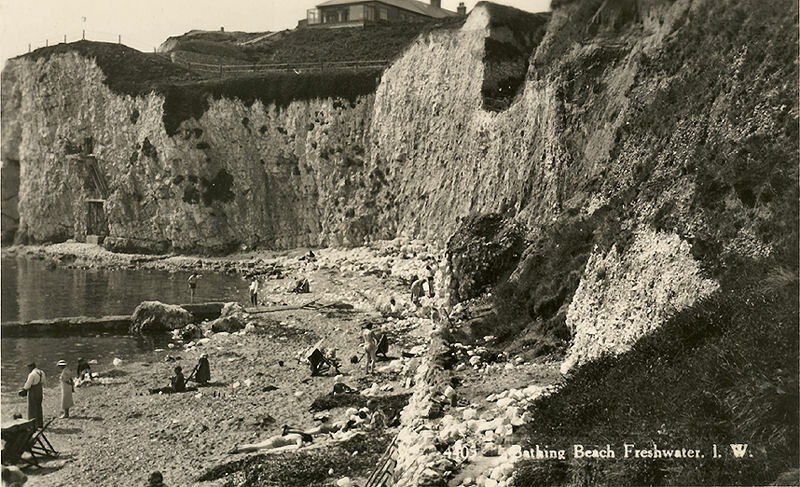 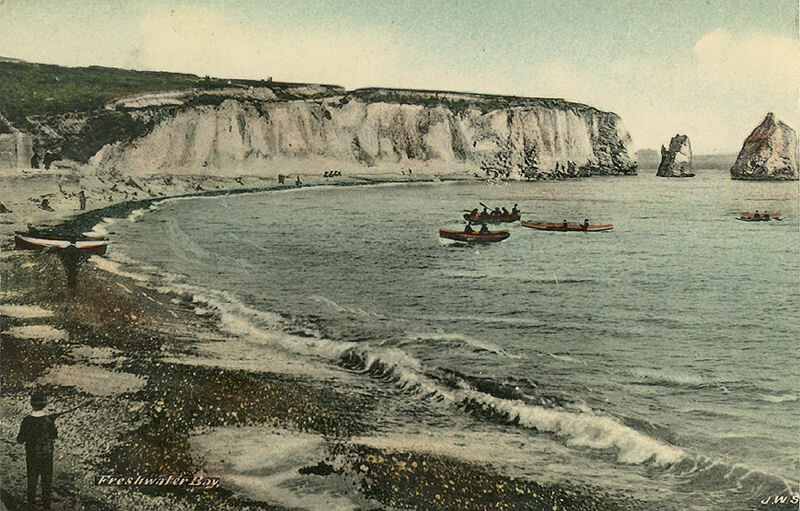 A selection of pictures of Freshwater Bay which do not appear elsewhere. 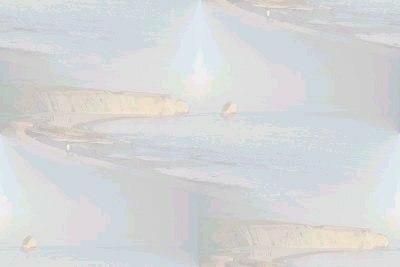 Some are of poor quality and others difficult to date, but I hope they are of interest. 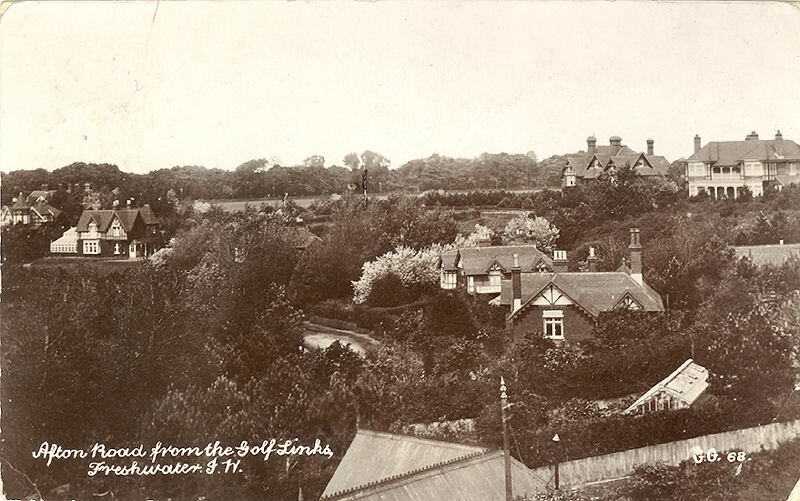 Another undated card, described as Afton Road from the Golf Links. 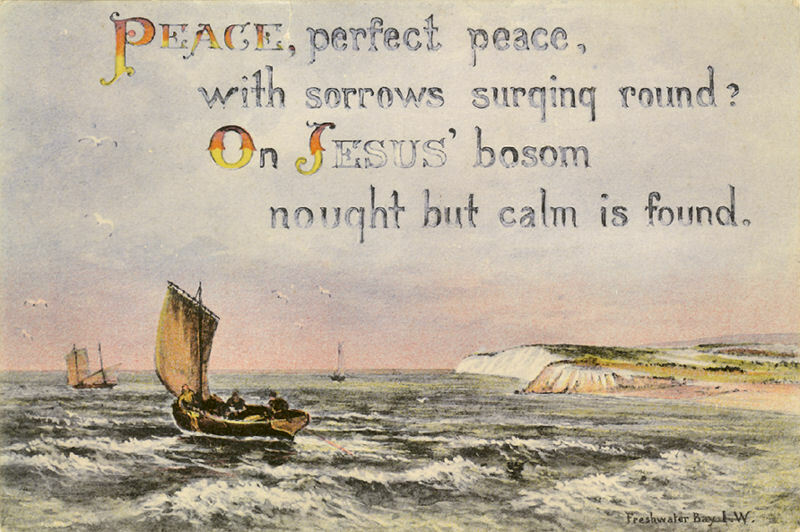 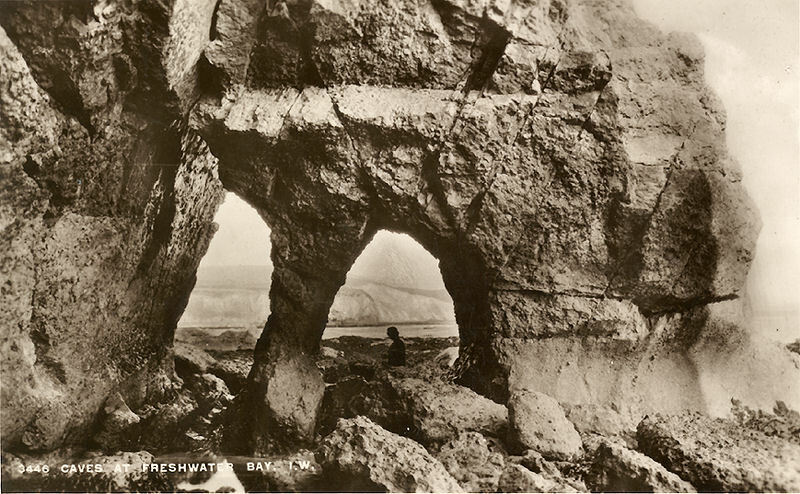 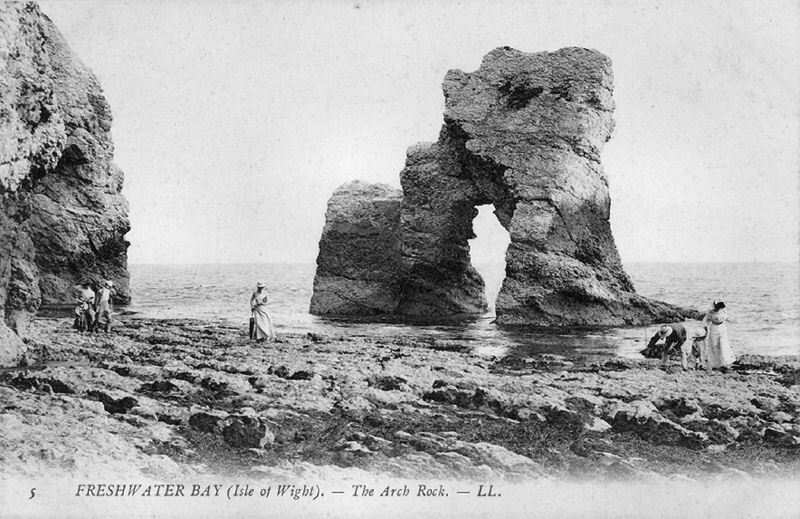 The arch rock at low tide, postmarked 1926 but actually well before that, probably around 1910. 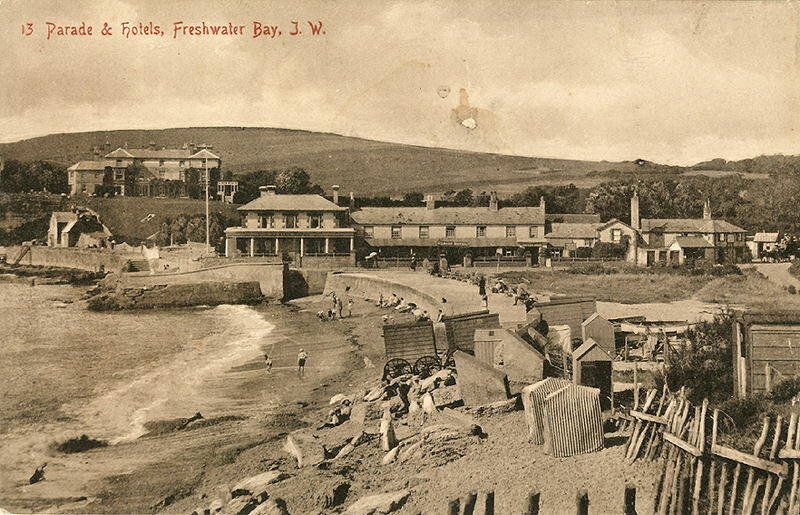 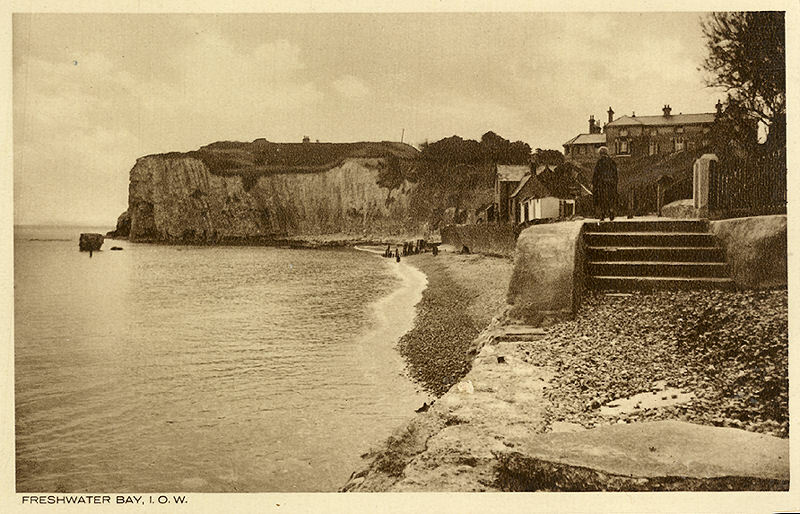 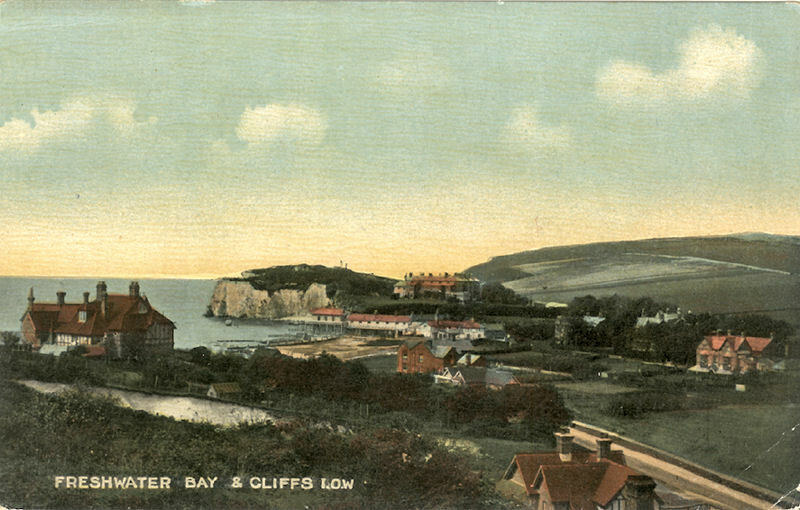 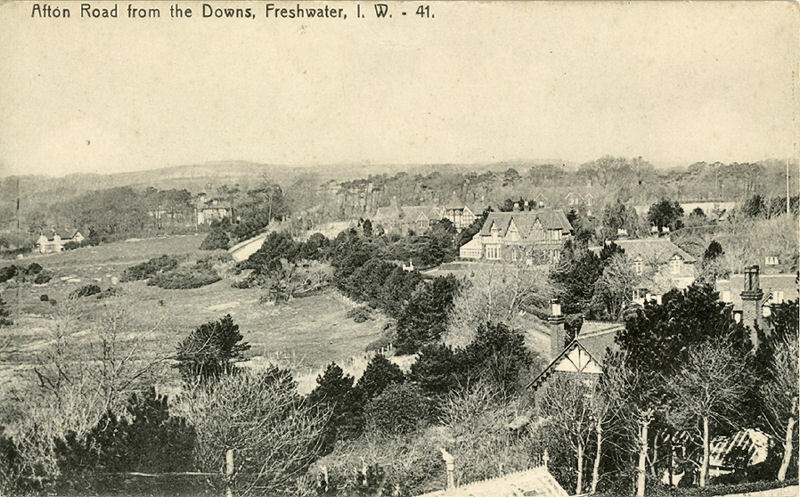 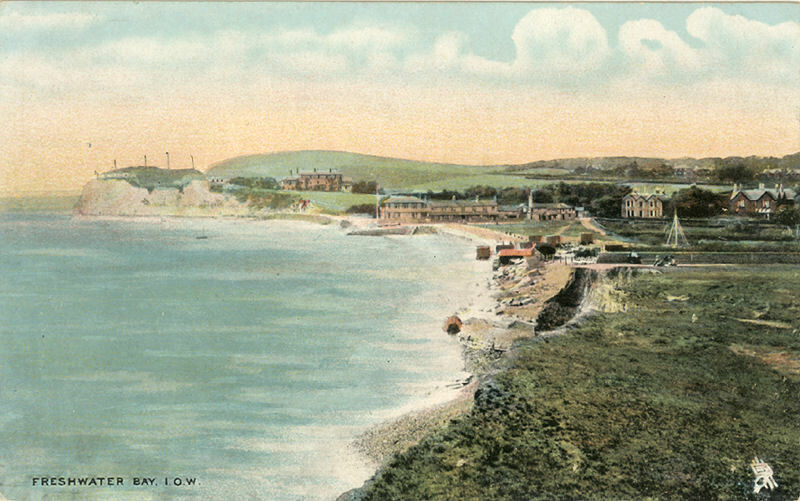 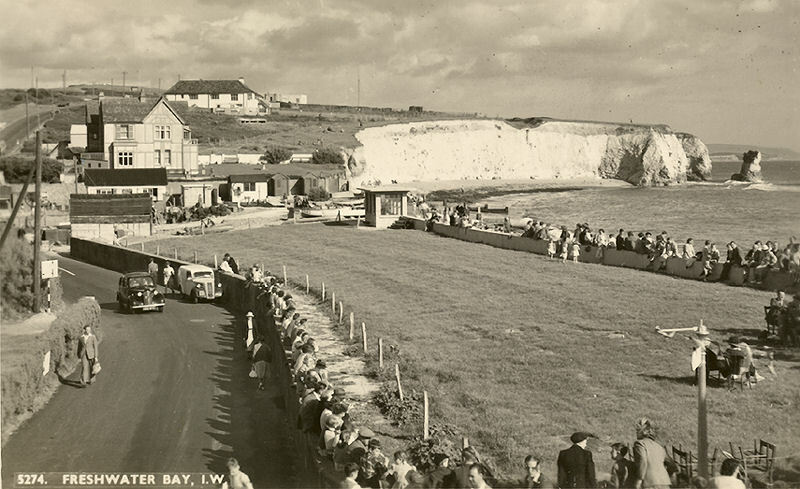 A interesting picture showing from the left Fort Redoubt, the old boathouse and Freshwater Bay Hotel, undated.